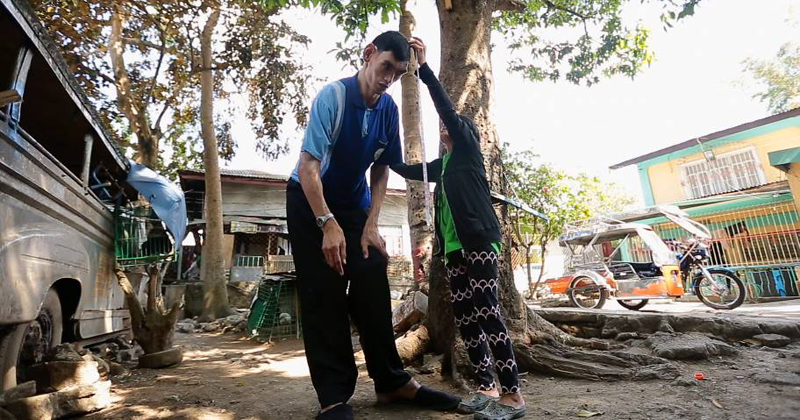 Gigantism is a serious condition that is nearly always caused by an adenoma, a tumor of the pituitary gland. Gigantism occurs in patients who had excessive growth hormone in childhood. The pituitary tumor cells secrete too much growth hormone (GH), leading to many changes in the body. Gigantism is a form of familial pituitary adenomas, and may run in some families due to a genetic mutation.